The Bermuda Society of Arts is getting set to open a photo exhibition highlighting the island’s butterflies, with the grand opening of ‘Flying Flowers’ by Ras Mykkal to be held on Friday, May 6. The event will be held from 5.00pm to 7.00pm, including a book signing, with the exhibition to remain available through May 31 at the Edinburgh Gallery at City Hall. Ras Mykkal said, “On May 6th, 2016, I will present my first photo exhibition with the Bermuda Society of Arts. 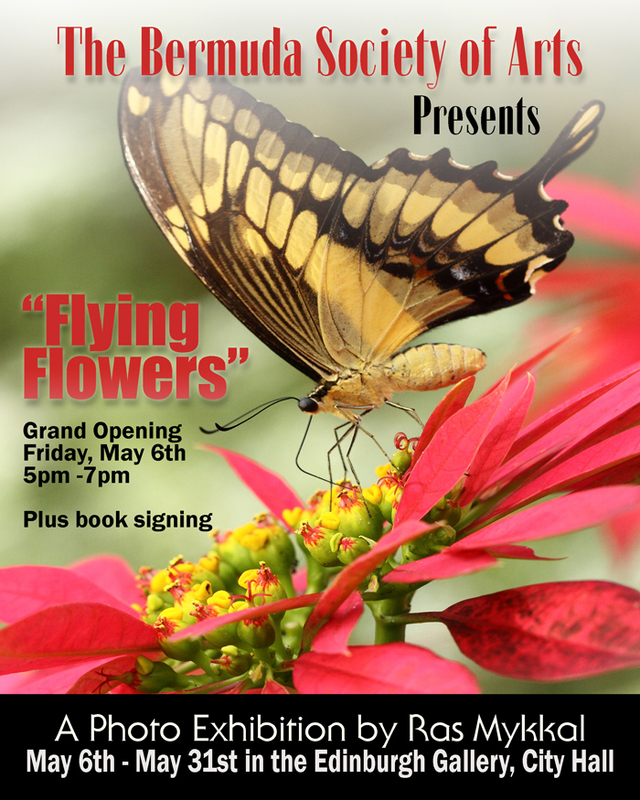 I will also be available to do book signings with the release of my new book, “Bermuda’s Flying Flower”, the first book documenting the history and life cycle of Bermuda’s butterflies.